Nikol Pashinyan's last visit to Moscow was so unsuccessful that even Armenian propaganda cannot give convincing explanations and arguments to hide it, the Editor-in-Chief of Baki kheber newspaper, analyst Aydin Guliyev told Trend. "Of course, Pashinyan arrived at the meeting in Moscow with certain expectations, and his team expected a lot from this visit. The most important thing for them was to convince Putin that Armenia is still allegedly a loyal strategic ally for Russia. Despite the lack of details of the meeting, several facts give reason to believe that Pashinyan has failed to restore Russian-Armenian relations, which begin to show signs of deep strain," Guliyev believes. "Not a single document was signed, the issue of tariffs for gas sales has remained open, Pashinyan has made a non-constructive statement, clearly diminishing the effect of the mediation mission of Russia in the Karabakh process," said Guliyev. 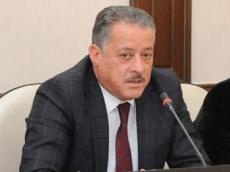 He said these facts have lead to the logical conclusion that no mutual understanding has been reached on the issues of Khachaturov's presence in the CSTO, the status of Russian military in Armenia, the continued sale of weapons to Armenia on concessional loans, and the reduction of military cooperation between Russia and Azerbaijan. Guliyev said while President Ilham Aliyev's meeting with Vladimir Putin ended with the signing of numerous documents in the economic, political, trade, investment, transport, freight and banking sectors, the lack of signed documents with Pashinyan is indeed a fiasco for Armenia. "During his stay in Moscow, Pashinyan presented Karabakh as part of Armenia, which may produce some results in terms of speculation in ratings in the Armenian society. But in the context of the meeting in Moscow, such a destructive statement on Karabakh aims at damaging the image of Russia itself, which is a mediator country," the expert added.